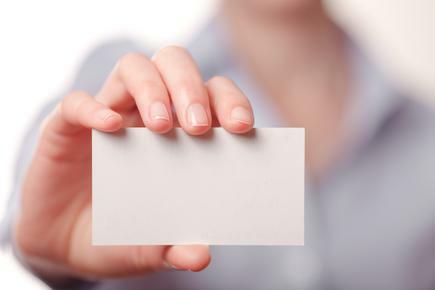 You want to get on a corporate board, but is your CV ‘board-able'? Women on Board: Insider Secrets to Getting on a Board and Succeeding as a Director. “CEOs are normally limited to serving on one outside board, so companies are casting a wider net,” says her co-author, Nancy Calderon, Global Lead Partner at KPMG LLP and board member of KPMG’s Global Delivery Centre in India. Meet what the market demands.“Understand the skills most valued by boards, and play these to their fullest,” says Calderon. She says experience as a CEO, CFO, or CPA is valuable, but it is also important to highlight technology experience. These include “hot button” board issues such as data security, and expertise in CAMs (cloud, analytics, mobility and/or social media). Highlight ‘hot button’ board issues such as data security, and expertise in cloud, analytics, mobility and social media. Highlight your global know-how. “Globalisation of customers, supply chains, and employees means that companies are seeking candidates who have a real comfort level and knowledge beyond domestic markets,” says Stautberg. Highlight any foreign languages you know, and emphasise experience you may have in other regions such as BRIC (Brazil, Russia, India and China) or in the ASEAN (Association of Southeast Asian Nations). If you have gaps in your expertise, start taking on more projects at work that fill these in. Ask for a P&L responsibility, even for a smaller division. Become a visible industry leader. “Serve on association or government boards, speak at conferences, and write articles for high-profile industry publications,” says Stautberg. Nominating committees and search firms want industry leaders who both understand relevant market trends and have key contacts. "Technology knowledge and a digital mindset are probably the most critical skills for directors in New Zealand and Australia" notes IT lawyer Jennie Vickers, on how these strategies can apply locally. As some directors increasingly struggle to grasp the impact of digital on strategy, opportunities will open, as those directors wisely step aside before they become the subject of governance failure litigation. “As some directors increasingly struggle to grasp the impact of digital on strategy, opportunities will open, as those directors wisely step aside before they become the subject of governance failure litigation. The writing really is on the wall,” says Vickers, who is director of The International Association for Contract and Commercial Management, Australia and New Zealand. Vickers says the “start small' advice is spot on, but cautions time management is important when doing this as helping not for profits “can also soak up your time”.